All pins are also available in my shop. 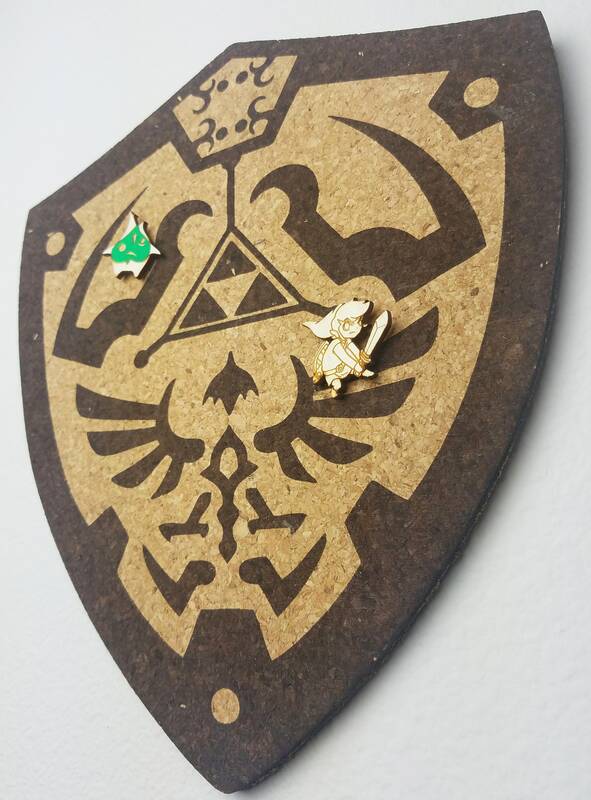 I bought one of these for me and another one for a Legend of Zelda obsessed friend of mine. 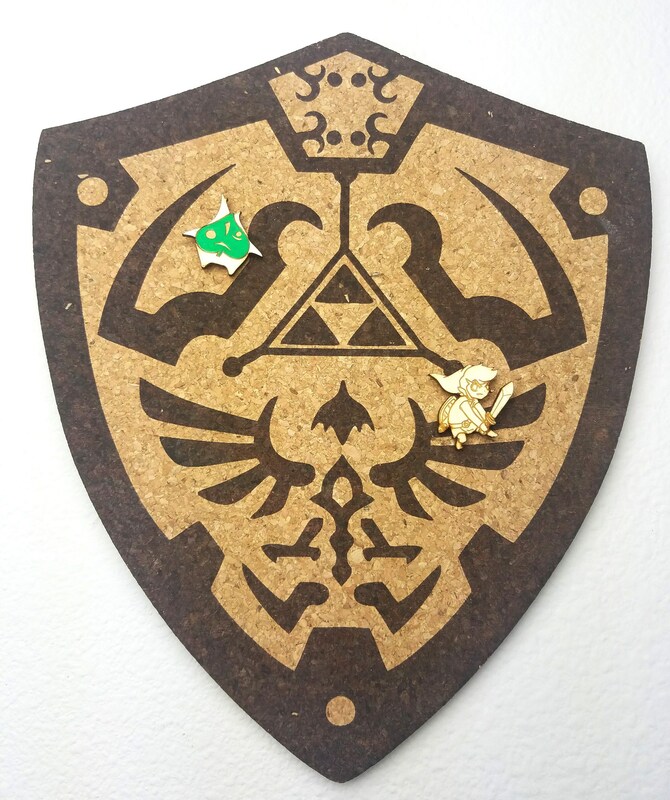 I've been looking for a way to display my enamel pin collection AND this cork board fits in with my video game themed living room. 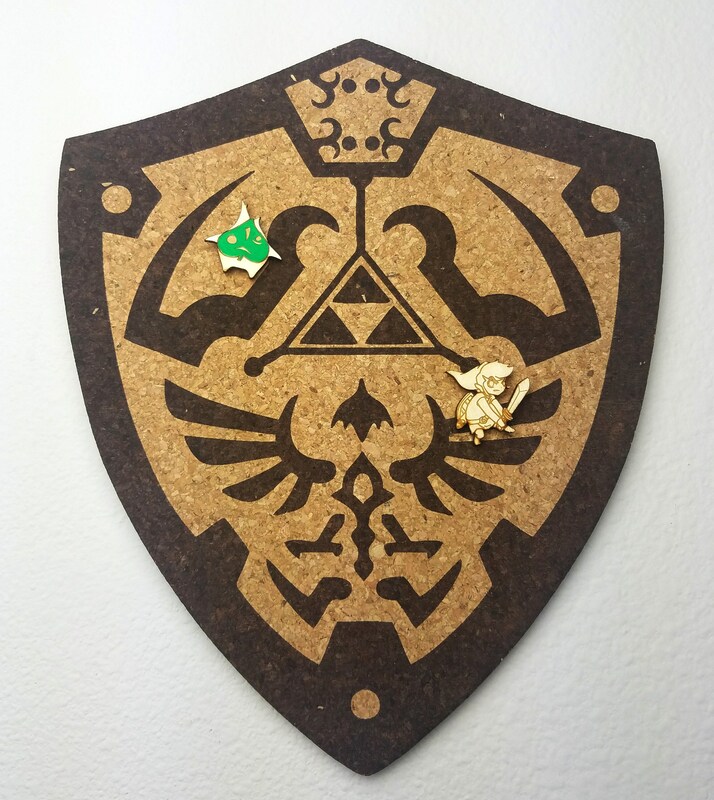 I think it seems a bit more narrow than I had imagined, but I'm happy with how it looks on my wall. This is totally amazing! Already up and stuck with pins! Oh gosh this looks even more awesome in person, I love it so much! !